Roll your mouse over the image to see the after! 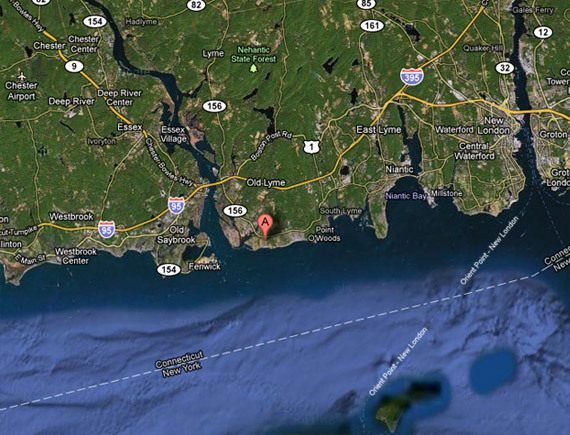 The spot marked with the “A” is where our cottage is in Old Lyme… as you can see, it’ll be a little while before we get back into those waters! Just crazy!